We love dessert. Every meal should, ideally, end with something sweet. 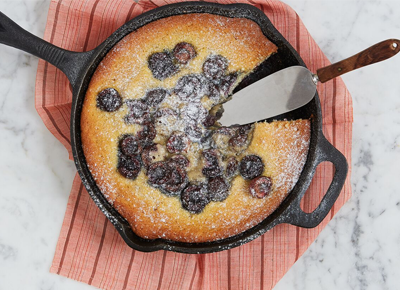 But it doesn't need to be a big fuss, and that's where these four decadent but simple cast-iron skillet dessert recipes come in. We've got cake. We've got cookies. We've got even more cake. Let's get baking, shall we? Because, honestly, what's better than one huge, gooey, basically deep-dish cookie? Make this whenever you want something rich, chocolaty and molten in the middle. Campfires are overrated, but s'mores are not (especially when you can make them indoors).